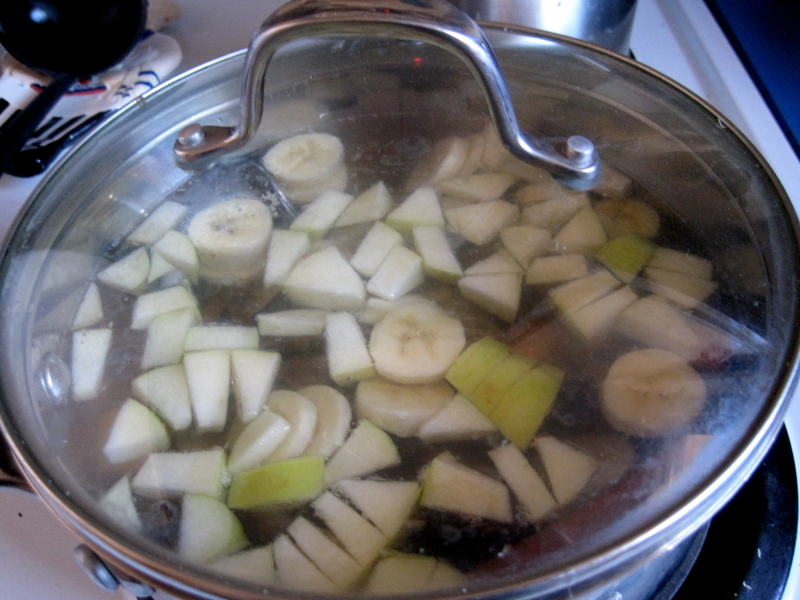 Combine the ingredients plums through cinnamon stick in a medium sauce pan. Cover and cook on medium low heat until the fruit is soft, about 15 minutes. Ladle the cooked fruit mixture into a blender or food processor (when you find the cinnamon stick, remove it! ), and puree. You’ll need to do this in batches most likely. 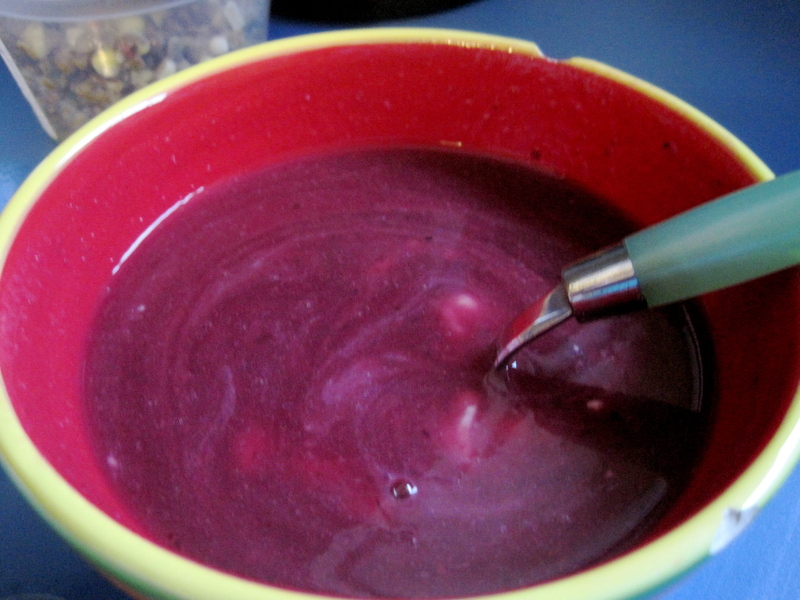 Pour pureed soup into a large bowl and add the vanilla extract. Mix the cornstarch with a few tablespoons of soup in a small bowl. Then add it to the large bowl of soup and mix. Cover the bowl and chill the soup in the fridge. I dolloped a dollop of yogurt on top when I ate my bowl. So easy! !